For Mother’s Day I spent the day at my guild’s workshop with Annie Smith learning how to do a different variation of Machine Applique. 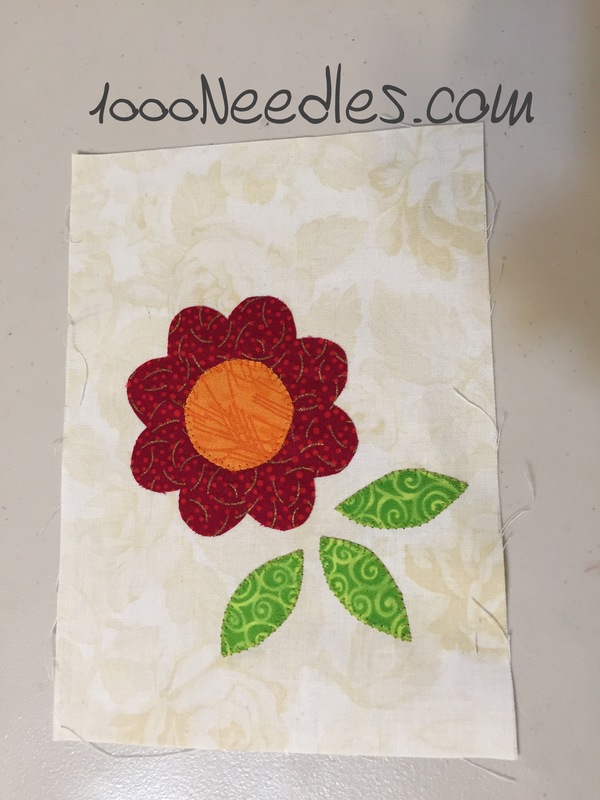 I love the look of applique and I have done a fair amount of hand applique. For machine applique, I’ve only done a raw edge technique with Laurel Anderson. You can see that attempt here. That project is still a UFO. I really should finish that one soon as I believe there is only the border part that needs to be quilted. Anyway, this mother’s day Annie Smith taught us the technique to use the blanket stitch on our machines. 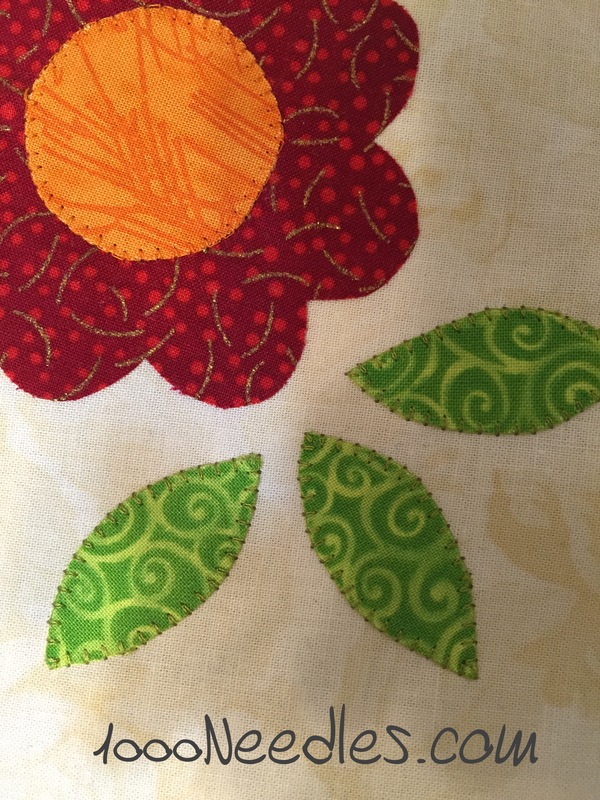 I wasn’t able to finish but as you can see above I was able to applique down the orange center and the green leaves. 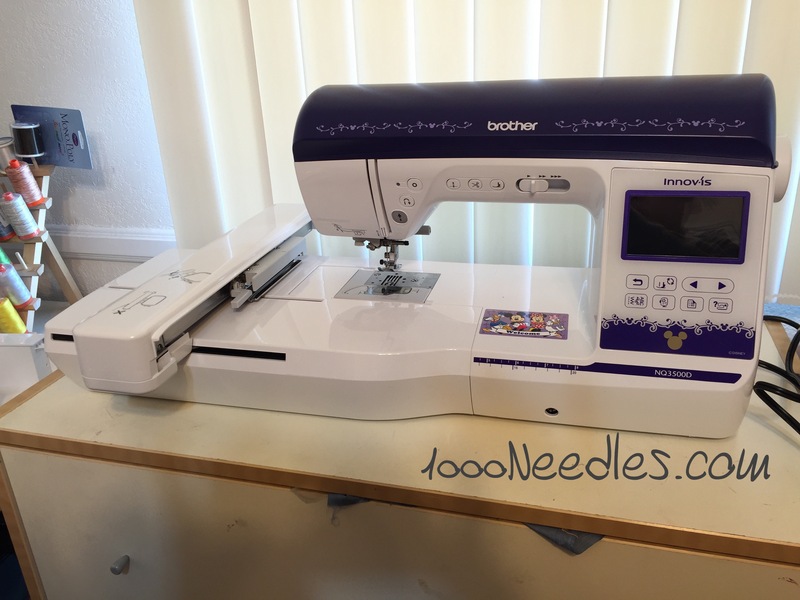 I know I don’t need another machine and I do not know how to use it yet but plan on going to the shop these next few weeks to learn how to embroider. I do not know what I’m going to make but it will be something. You may recall I took my Bernina in to be serviced. Earlier in the week I picked it up and while I was at the shop drooled over the embroidery machines. I was thinking all week about them and how much they were and running figures in my head to see if I could swing it. By the end of the week I had decided against it and told myself to revisit it later. The hubby truly surprised me with his gift. 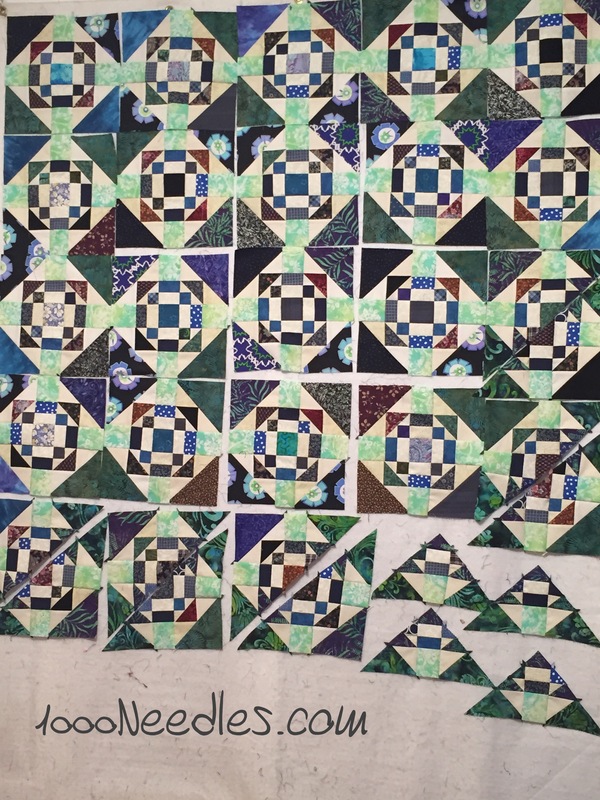 For BOMs Away Monday and Design Wall Monday – I’ve still got Scrapitude up. The final clue is released on Tuesday so I’ll be working on that this week. Monday, I’ve got Annie Smith’s presentation with the guild. Tuesday, it’s my turn to take the boy to baseball practice. He’s got a game on Wednesday and I believe, Thursday is the first day I’ll be able to go to the shop to learn how to use the new machine. I need a name for it.. any ideas?